Loss and change is a fundamental, yet often difficult, part of life. Many people who seek counselling do so because there is a transition in their life that they are struggling to cope with. Life is an ever-changing process and this can be a struggle for all humans – something that connects us wherever we are in the world. So, whether its feeling unhappy with ourselves, our job, relationships, or life in general, I am fully aware of how hard it can be for people to make sense of, or get beyond these experiences. When you take the big step to visit a counsellor, you are moving one step closer to becoming at one with yourself – creating a possibility to explore what is going on, and beginning to realise your potential as the unique human being that you are. I am passionate about assisting my clients to work through difficulties, and bring about a better quality of life moving forward. I can provide an environment for growth and understanding, where we can work together to express and explore feelings. As we will hold weekly sessions together, a regular and constant base is provided for you to bring whatever you feel is important each week. Most importantly, you will feel listened to and supported in our work together. is based on the belief that if we can be in acceptance of ourselves in the here and now; particularly who we are, then we can live more fulfilling lives. Some years ago I had a traumatic experience, which left me confused as to who I was and what role I played in this world. I entered into therapy to deal with the massive changes that had occurred in my life. In this process, I also realised that in the aftermath I had been left unhappy because there were different parts of me battling with each other, yet I was only accepting of some of them. As I learnt to embrace myself more holistically, and understand myself better, I became passionate about therapy and it was then that I decided to train to become a counsellor/therapist. 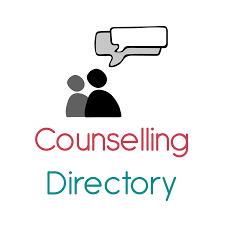 Currently looking for a counsellor?